My Grandmother Kono could not have possibly foreseen her future pain in solitude… But the anguish she endured seven decades ago brings our family together today along with a message to the world. Born on October 6, 1888 in a Hiroshima village called Furue, Grandmother Kono came into Seattle on February 4, 1909 via the Shinano Maru. She was a picture bride for my Grandfather Hisakichi. She gave birth to seven children; all but one was born in Seattle. They were American citizens. Uncle Suetaro (Soo-e-ta-rou) was #6 and born in Seattle sometime late in 1920 although I have been unable to locate his birth records on-line. 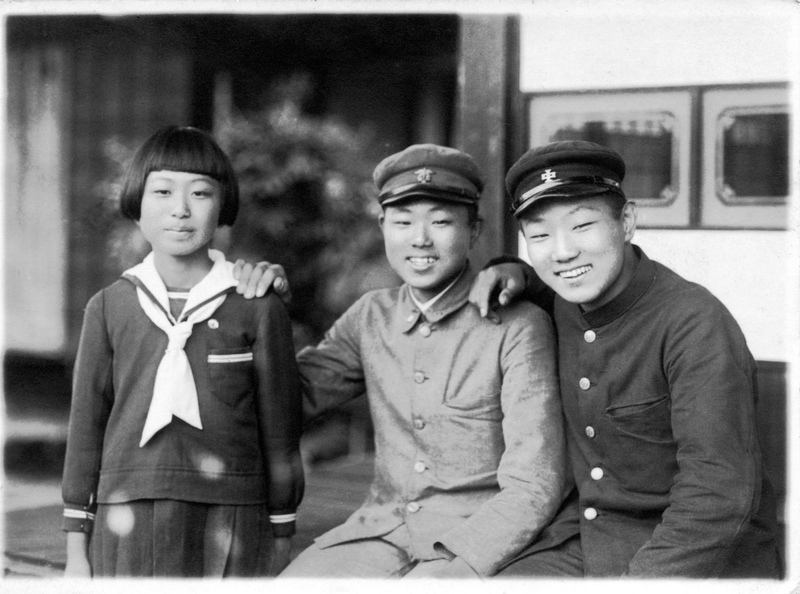 His name (末太郎) implies “last boy (or child)” but as you can see in the damaged photo above, Grandmother and Grandfather appear to have had an “oops” moment. That’s Mieko, their youngest sister; she became truly the last child. 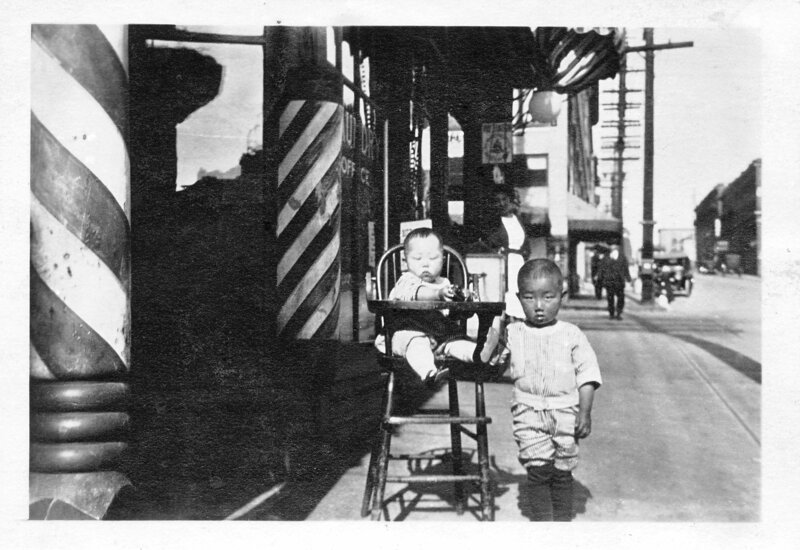 Uncle Suetaro is on the high chair with Dad standing next to him. They are in front of my grandparent’s barbershop on King St and Maynard in Seattle. The shop was inside Hotel Fujii (no longer standing). Circa 1921. While growing up, Uncle Suetaro was my father’s favorite sibling. Suetaro and dad were inseparable from what I am told. Dad’s nickname for him was (and still is) “Sue-boh”. Suetaro was a happy child and always made people laugh and feel good – like Grandmother Kono. Suetaro and Dad played “oninga”, or tag, together frequently; there was no Nintendo or footballs to throw around in the 20’s. When Suetaro got old enough, they picked “matsutake” mushrooms together on Grandfather’s mountain property as told in “Masako and Spam Musubi“. 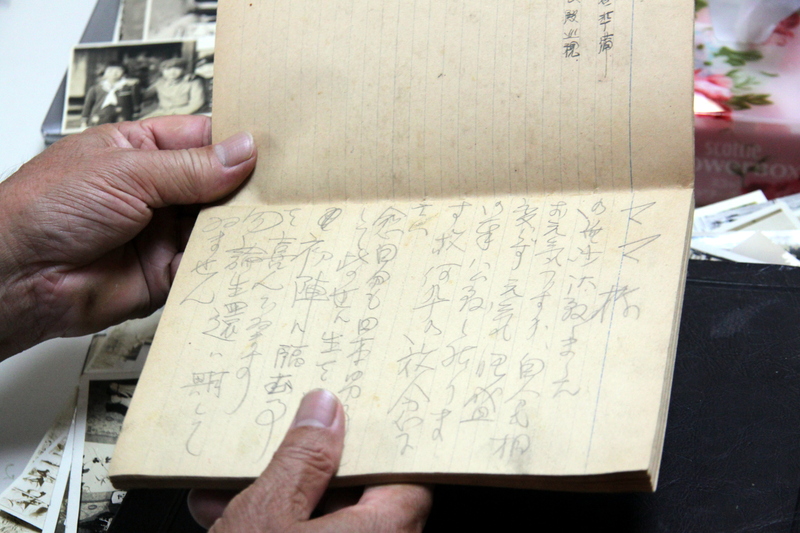 When Grandmother made fish for dinner, Dad wouldn’t eat it – but Suetaro did. Suetaro ate everything. The three youngest siblings: Mieko, Suetaro and Dad. A rare photo as all three are smiling – especially Dad. 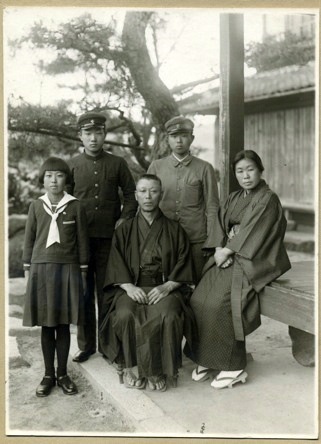 This portrait was also taken while they sat on the Hiroshima home’s sakura wood. My assumption is it was taken immediately before Dad left to return to Seattle. Dad says they had one bicycle to share between them. On school days, they would walk to the train station together in the morning while one slowly rode the bike. They would leave it at a little shop which was still quite a ways away. However, whoever got to the bicycle first AFTER school got to ride it home – quickly. Leaving the other brother in the dust. And it was a long walk – especially in the summer heat and humidity. Perhaps it was the bicycle in the early portrait shown in “Souls of Wood“? 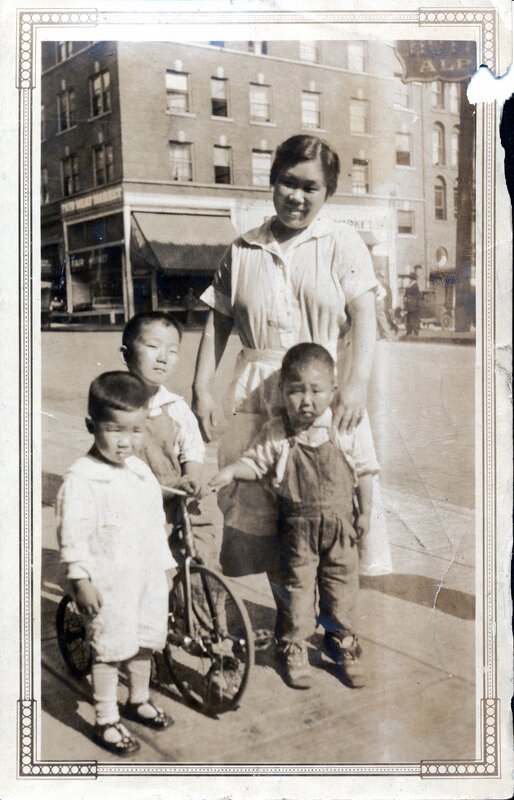 Dad left Hiroshima soon after graduating from Nichuu High School at 18 years of age; he arrived back in Seattle on May 18, 1937. 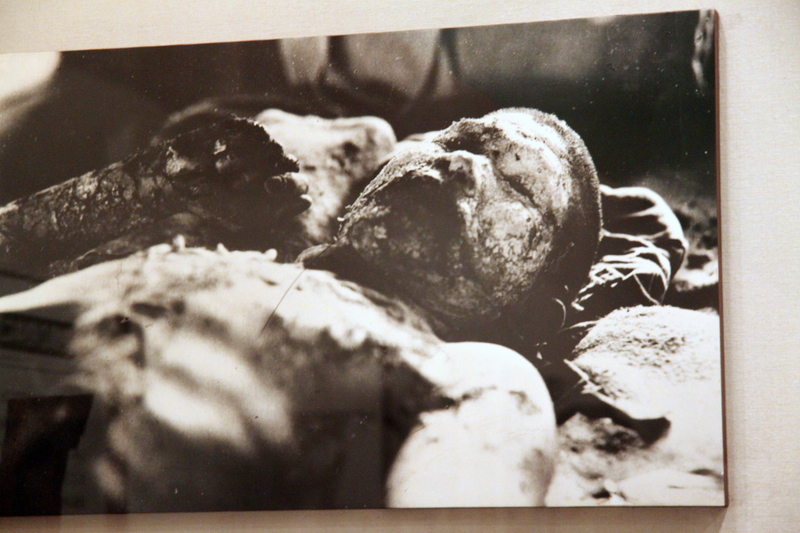 Grandmother, Suetaro and Mieko were left behind in Hiroshima. He would never see his favorite brother Suetaro or Mieko alive again… and Grandmother Kono will soon experience a demonic dread that will stay with her for the rest of her life. To Be Continued… A direct link to Part II is HERE. They walked on it. They posed for family portraits on it. They passed away on it. It felt as if their souls were infused in it. Although my ancestors have come and gone through that house for about a hundred years, the old sakura wood shared their souls with me. 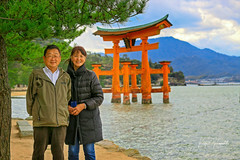 The Kanemoto’s sat on the cherry wood walkway for a portrait. Notice the glass paneling at the center-rear. My father (second from left) is sadly all who remains from that generation. Circa 1928, Hiroshima, Japan. Although aged and weathered, the sakura (Japanese cherry) wood upon which my ancestors sat upon for family portraits is unchanged. Even the glass paneling in the background is the same. While I am certainly not in the construction industry, my father’s family home is based on the Edo design era. Generally speaking, they are built on stone foundations, with supporting square timbers and a raised floor. 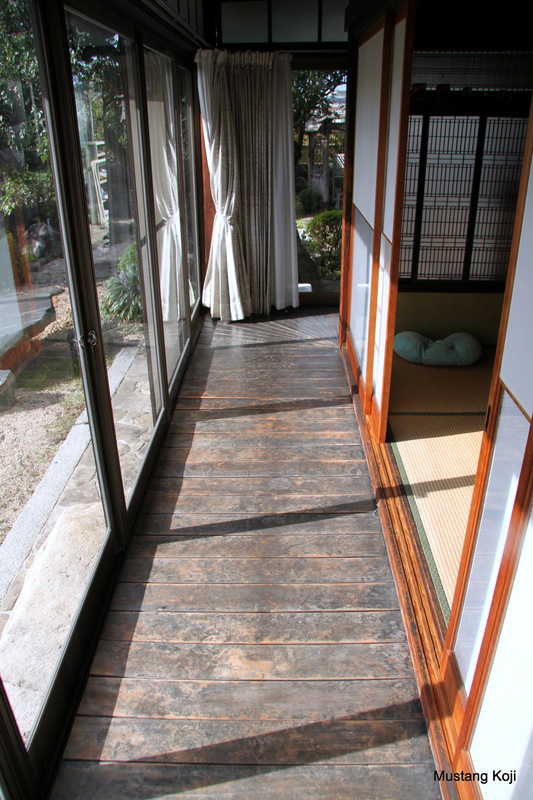 “Tatami” mats were used for flooring. 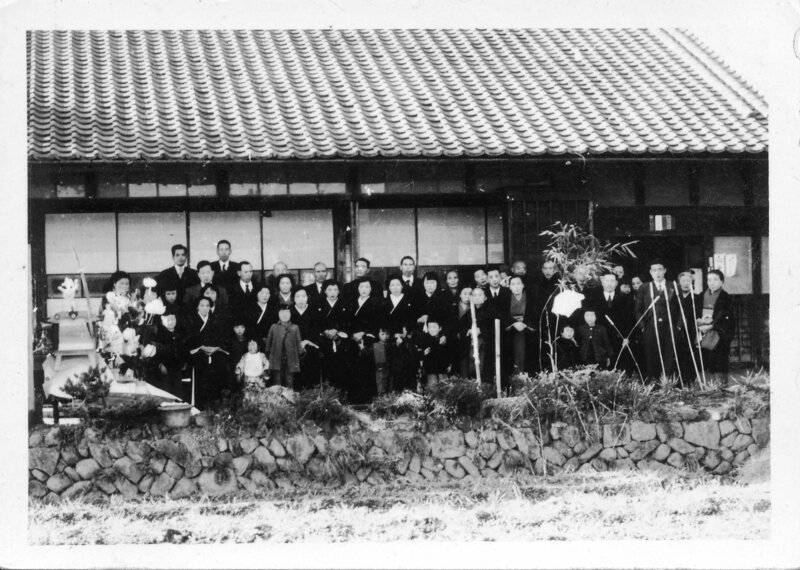 My father, while now 93 and suffering from dementia, fondly recalled the floor plan of the Kanemoto house…especially of the main room seen the family portrait. He said it had a “tokonoma”, or a small alcove alongside the altar, or “butsudan”. He also clearly recalled the floor space measured by the number of tatami mats used; in this case, “hachijyou” or eight mats. This is the room in which my cousin Masako “saw” Aunt Shiz a few days before she passed away. The house was indeed damaged from the atomic bomb’s shock wave. This same shock wave shook the Enola Gay violently even while trying to escape the blast at about 30,000 feet altitude. She was 11-1/2 miles away. The house is about 4-1/2 miles away by way the crow flies. Almost due west of the hypocenter. Masako was knocked down by the hard-hitting shock wave while in her classroom. A low lying hill called Mt. 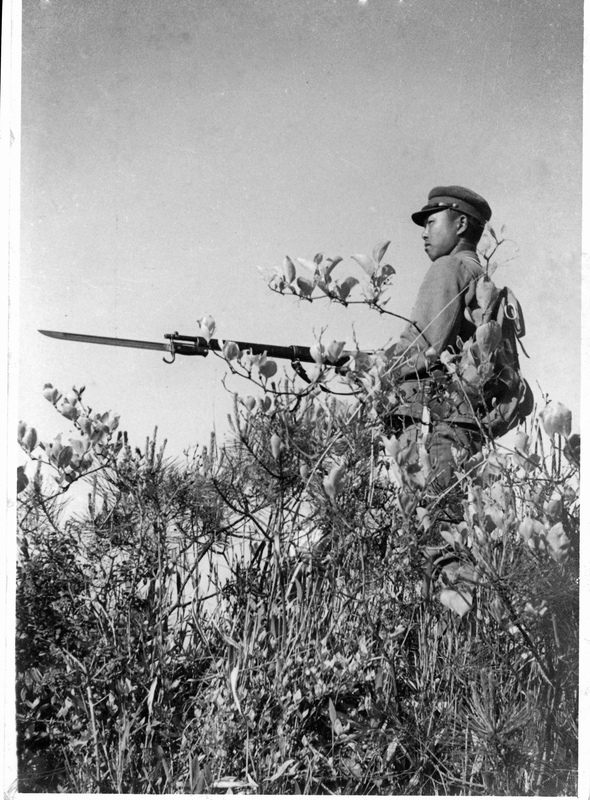 Suzugamine served somewhat as a barrier, deflecting the shock wave. Still, nearly all of the sliding door panels were knocked down and the ceiling was sucked up more than a foot per Masako. Roof tiling was also blown away from the force. 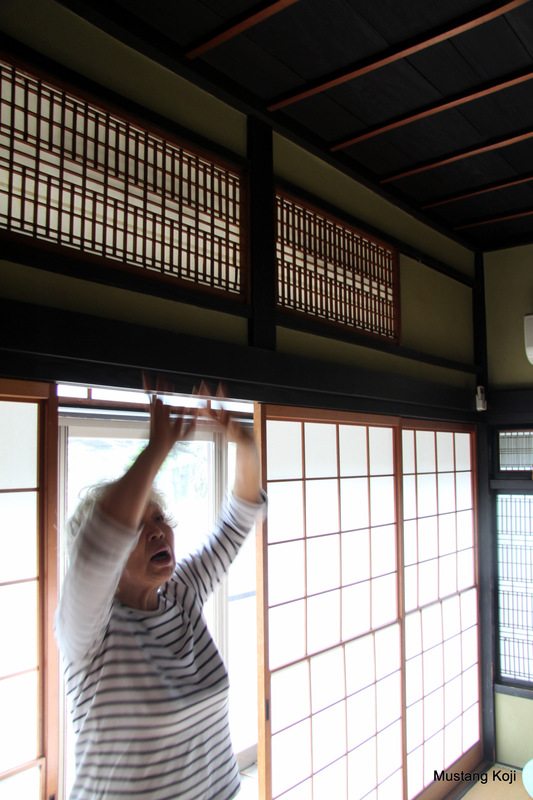 Masako is trying to show how the atomic bomb’s shock wave lifted the ceiling up over a foot. It is repaired now but was left as-is for decades. 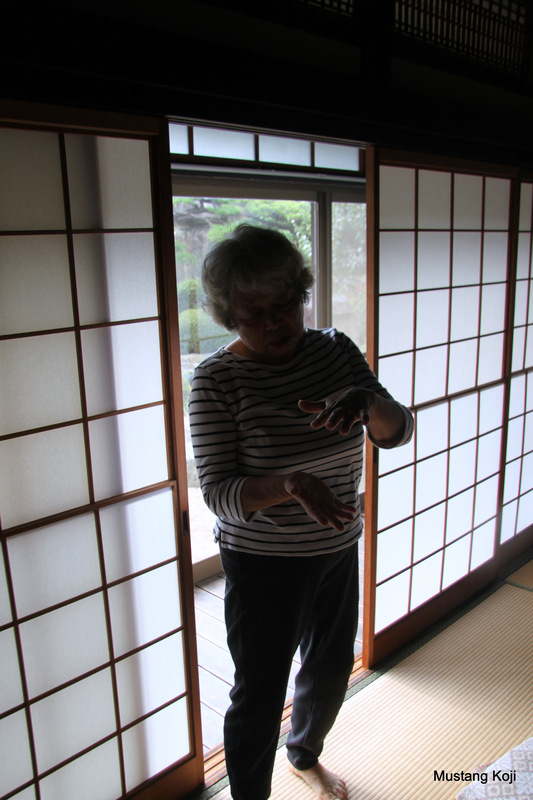 Masako in the process of trying to show how far the ceiling was lifted by the blast on August 6, 1945. 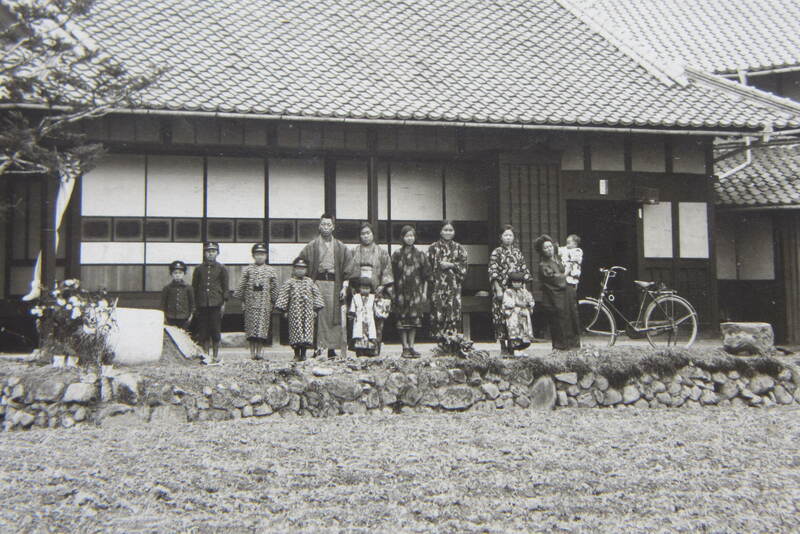 My Uncle Suetaro took one of his last photos in front of this house in May 1944. My grandmother already had her stroke and is not in this photo but his sister, Michie, is standing to his right. One of the family treasures found during our journey to the family home in Hiroshima this month. Uncle Suetaro is going to war and his death. The home does have spirits within. It’s not cornball. It is an incredible sensation. We were called to those souls in the wood this month. Seriously. When I saw my son in front of the home, I saw that I’m in the last half of my journey in life… but I came back to myself on that old sakura wood. Early family picture in front of the house. 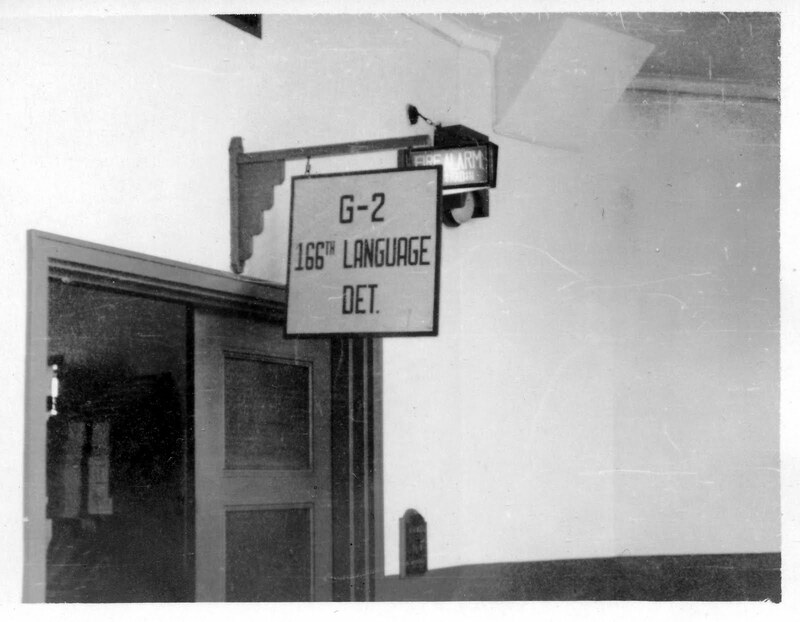 The entry is on the right. 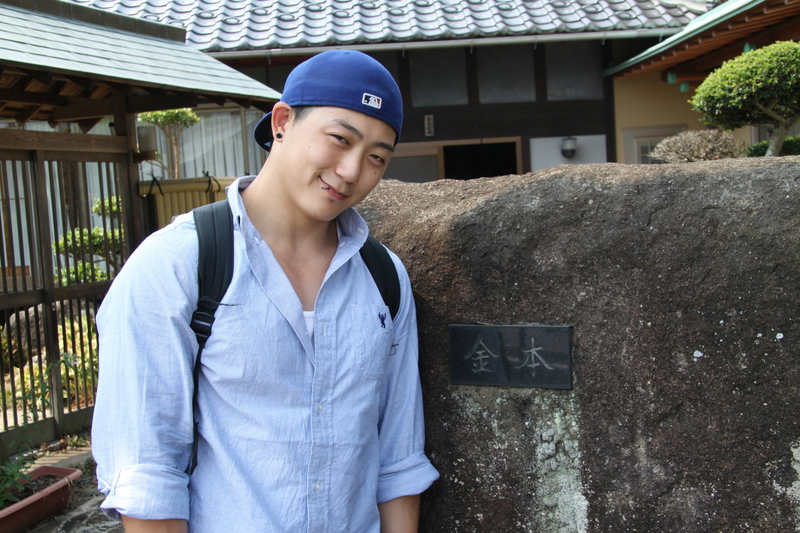 My son Takeshi standing next to the Kanemoto name in front of the house just this month. The entry can be seen behind him. Too much of a coincidence… A dull dagger… Cutting my heart out with a dull spoon… Now this… Chatter Master has it out for me. I kneel before the Queen. Although my Aunt Shiz passed away ten days before my son and I were to travel to her childhood home in Hiroshima, I believe it was her caring soul that made our journey eerily complete. 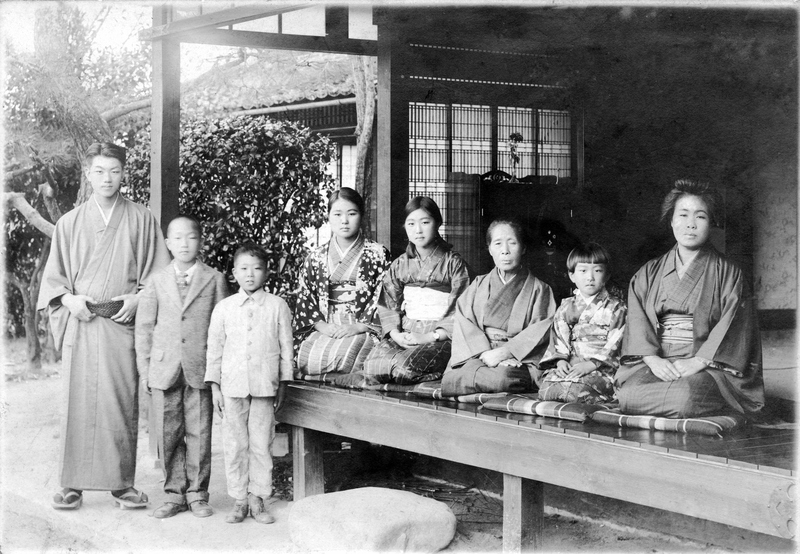 L to R: Uncle Yutaka, Dad, Uncle Suetaro, Aunt Michie, Aunt Shiz, Great Grandmother Kame, Aunt Mieko and Grandmother Kono at the Hiroshima home. Circa 1928. 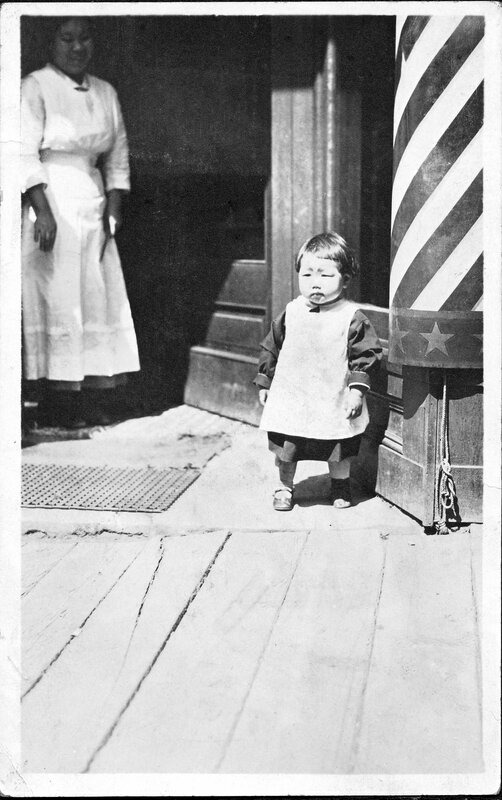 Aunt Shiz standing out in front of the barbershop; her mother (my grandmother) Kono smiles while looking on. Kono is holding a straight razor; she apparently gave great shaves and the customers enjoyed her friendliness. A happy and smiling Aunt Shiz dancing on the left. 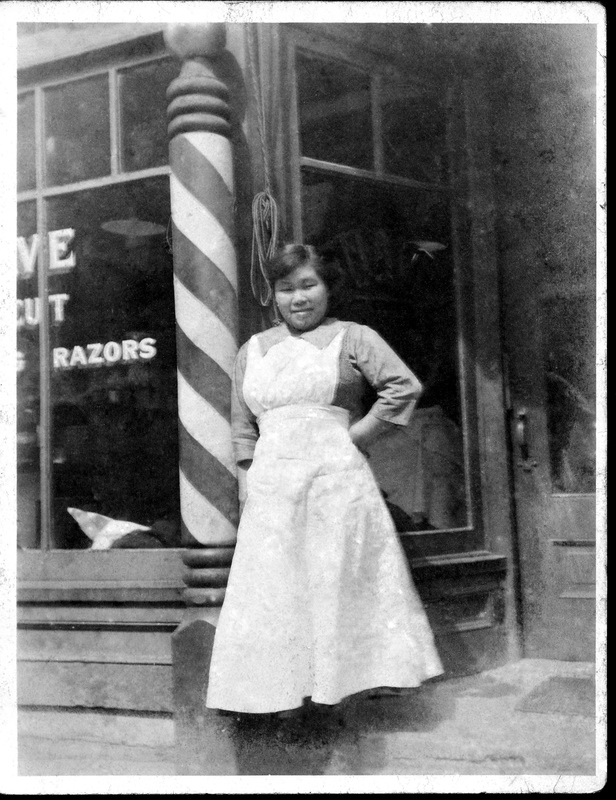 The barbershop’s poles can be seen behind her. 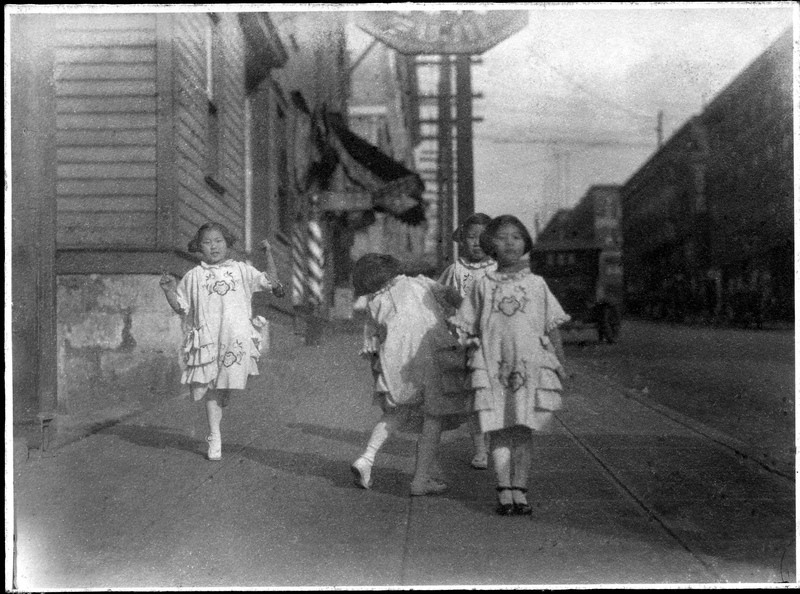 Circa 1923 in downtown Seattle. Masako tells me Aunt Shiz was the village “hottie” as she grew up back in those days. It made us laugh but it was true. Surely, she broke a lot of the young boys’ hearts in the village. She returned to Seattle on April 7, 1935, a vibrant young lady. Amazingly (well, really not), her granddaughter looks very much like her at that age. Genes. She married and had three boys and one girl. All but one were imprisoned during World War II. They had the dehumanizing horror of having to first stay in vacated horse stalls at the Santa Anita Racetrack in Los Angeles before being transported under armed guard in blacked out trains to Manzanar where they stayed until war’s end. They were American citizens. Incredible, isn’t it? Aunt Shiz, who was my dad’s older sister and last lving sibling, was a true “Kanemoto” as the saying goes. 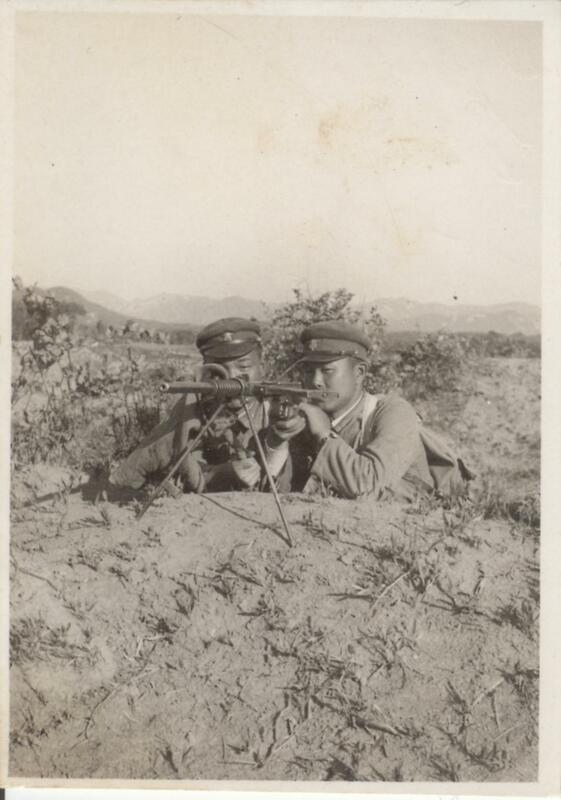 They were much alike…especially when they talked in their “Hiroshima dialect”. Funny they aren’t able to remember when their birthdays are but they sure remember their happy days as children in that Hiroshima home. Both loved to eat. And eat they did. Most of all, they loved sweets. Don’t ask why. 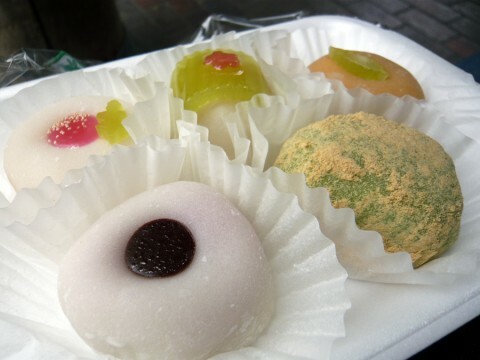 When I see Dad now, I always take him Japanese treats – mainly “manjyu” and “youkan”. 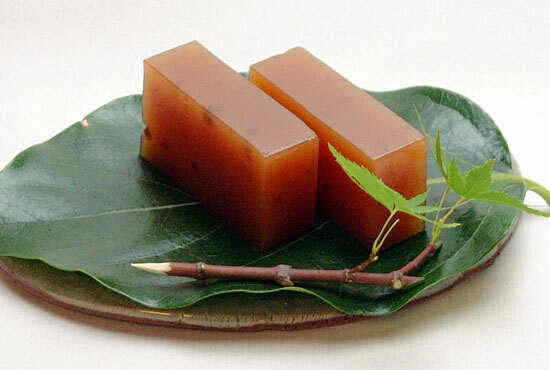 Typical Japanese sweet treat called “manjyu”. Aunt Shiz and Dad love them. Sweet Japanese treat made out of sweet beans, or “yokan”. Yes, I took a bag of yokan. Its on the front right in the video in a cellophane bag. There were three different flavors, too. They ate them ALL. Really. But they couldn’t remember who was older. Absolutely precious to our family. At her funeral service in Los Angeles, her grandson described her perfectly as a very warm person. She loved to hug and give her young relatives a peck on the cheek. That was Aunt Shiz. But back to the story… Some heebie-jeebie stuff. You know… Stuff that gives you a year’s supply of chicken skin. 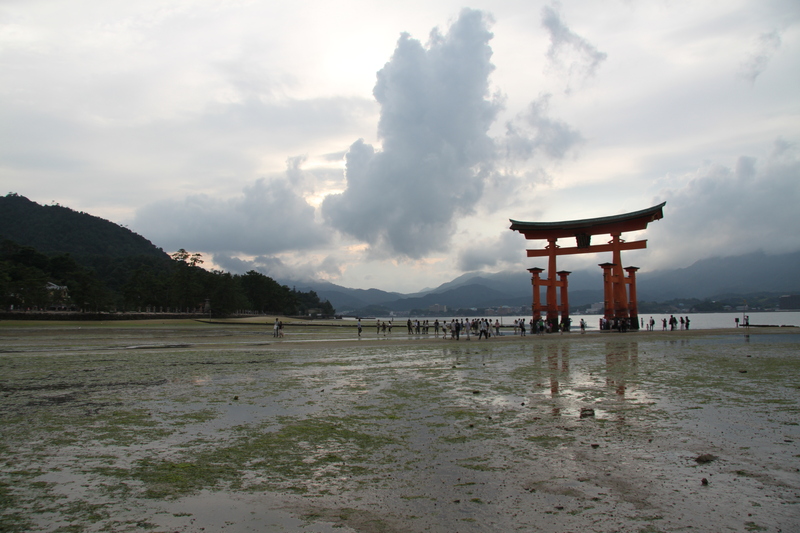 Our journey to Hiroshima was planned for months. My decision to do so was made after I met with Masako and the others in Hawaii in May and returned home…or so I thought I made that decision. It was as if something took over my thoughts and actions. It was kharma. 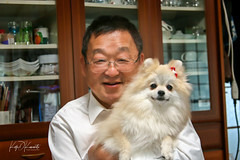 I was also going to take my oldest son Takeshi (24 years old – very important. Remember that.) who had NEVER been out of the country. 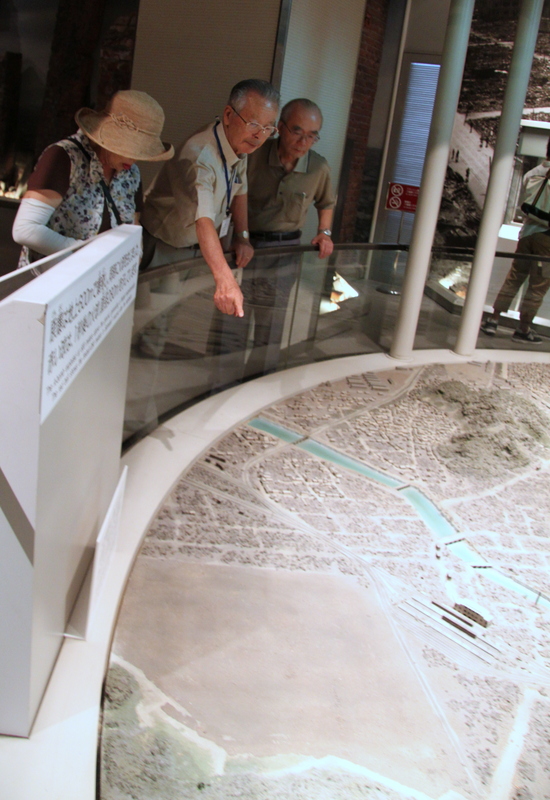 As the time neared, our Hiroshima family was excited my son and I were going. 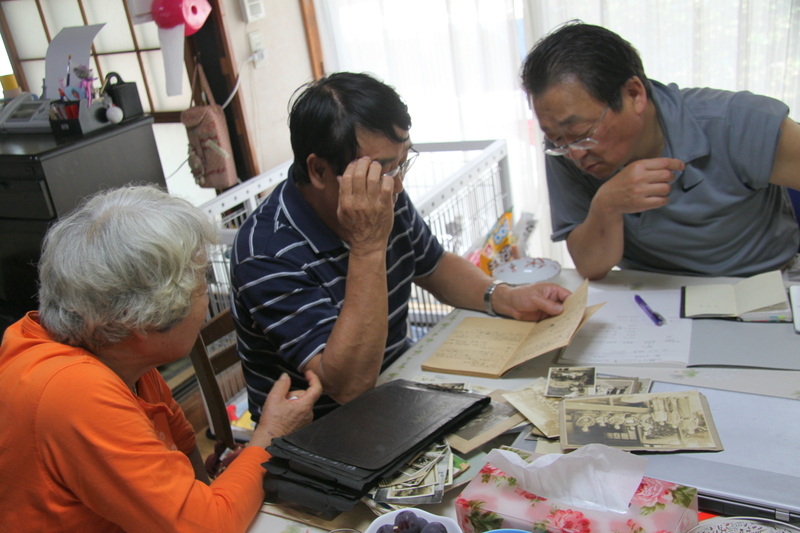 Although those of us here in the States were unaware, in the extreme heat and humidity of Japan, my cousin Toshiro went deep into a 100 year old wooden shed which still exists in a last ditch effort to uncover past family information. He found it…about a thousand pictures from the late 1800’s through shortly after war’s end. That is where the photos of Aunt Shiz and the barbershop emerged from although all were damaged by mildew and insects. They were extremely elated and flabbergasted to have found these vintage family treasures still existing. They began to go through them in the main family room where their “butsudan”, or family altar was. The altar is also about a hundred years old. A few days after they looked over the treasure, Aunt Shiz passed away quietly… She had fallen asleep in her wheelchair like she frequently did but this time, just didn’t wake up. Oddly, her daughter and my cousin Bessie, who diligently and energetically cared for her for many years, said “…she said she wasn’t that hungry that evening then just passed away”. Not having an appetitite is NOT Kanemoto. I will have to remember that. 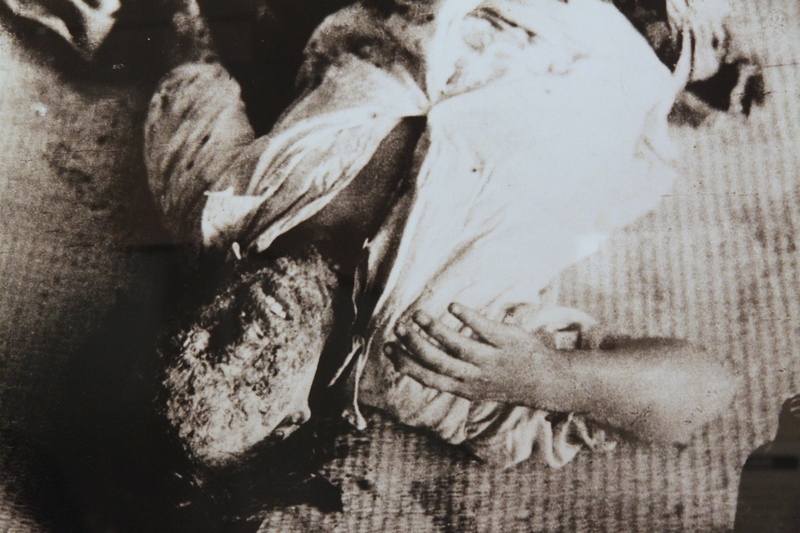 Bessie immediately notified the family in Hiroshima at which time Masako immediately said, “I saw Shiz in the room while we were looking at the pictures. She passed through the house.” We all got chicken skin when we heard that. 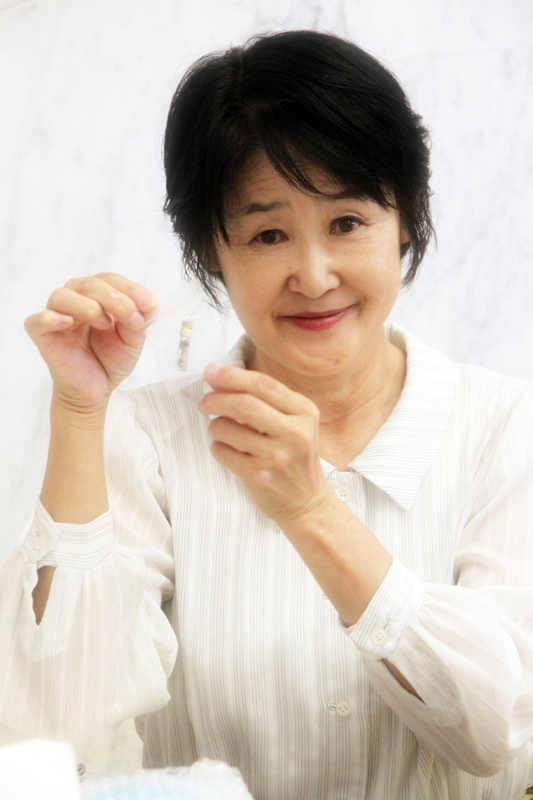 Masako does not make things up and is as sharp as a tack at 78 years of age. She has all her wits about her. (That last trait is NOT typical Kanemoto, by the way.) We don’t doubt her. Bessie suddenly requested I take some of her ashes back with me to the family home for interment. I was honored. 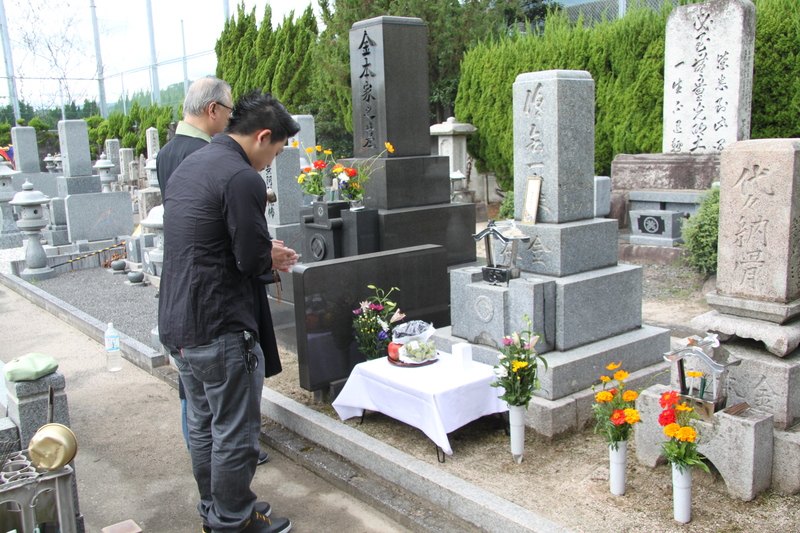 After my son and I arrived at the family home with Aunt Shiz, my cousin Toshiro immediately placed her ashes on the 100 year old altar…in the same room where Masako saw Aunt Shiz. Again, Masako said to us she saw Aunt Shiz in that room before she passed through the house. Creepies. Toshiro placed Aunt Shiz’s ashes on the family altar. The room is basically the same as it was when Aunt Shiz lived here about 80 years earlier. Wow. I felt like if a day’s worth of chicken skin out of Foster Farms was thrown on my arms. Really creepie-crawly. Not over yet… We had her official interment into the family crypt a few days later. 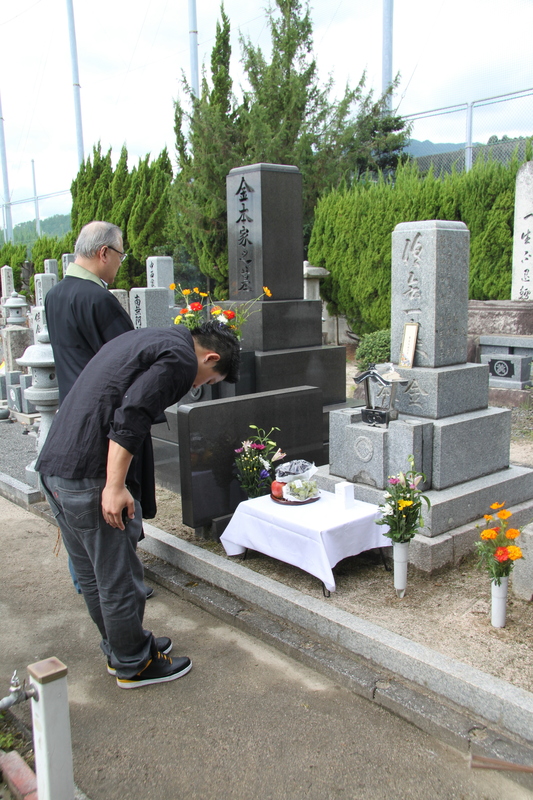 My other cousin Kiyoshi – another kind hearted person and the man who invented the first EDM device – came with us to the family burial plot, or “ohaka”. The stone ohaka holds the ashes of my grandparents and their deceased children – including my Uncle Suetaro who was killed on Leyte in the Philippines during World War II as a soldier of the Japanese Imperial Army. 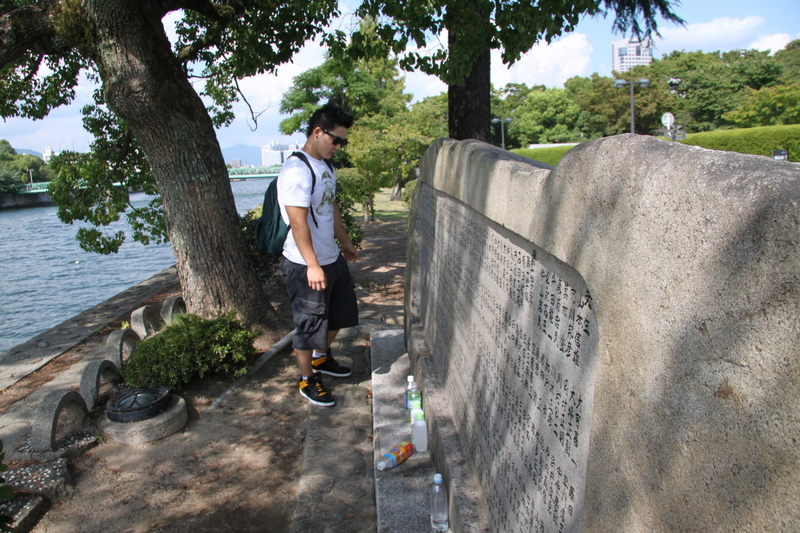 My 24 year old son bows deeply and reverently in front of the family crypt holding the ashes of Suetaro who was killed at 24 years of age. The ashes of Aunt Shiz can be seen in the small white box on top of the white cloth. He was right. Masako and Toshiro are right. Aunt Shiz picked this time to come home. She knew we were going. She decided Takeshi was to come. She made everything happen as they did. My son was very moved and affected by this coming together of family…so much so he cried at our farewell dinner. Do I believe in spirits and kharma? There is living proof of forgiveness from a few – and they let out a resounding message of world peace for us. 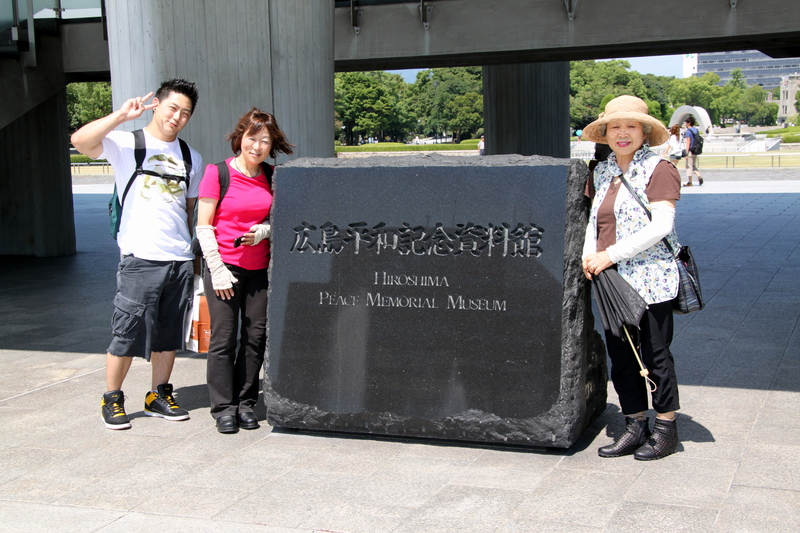 My son Takeshi, second cousin Izumi and my cousin Masako at the Hiroshima Peace Memorial Museum. It was an extreme emotional experience – not just for my oldest son Takeshi and I but for the kind souls who joyfully spent their afternoons with us on a hot September day in Hiroshima. I was able to finally meet – and thank – the people who were kind enough to seek out my father’s 1937 high school yearbook and thereby give my father a joyous remembrance of his most happiest days of youth in the sunset of his long life. Not being a writer, putting this experience into words is an endeavor. 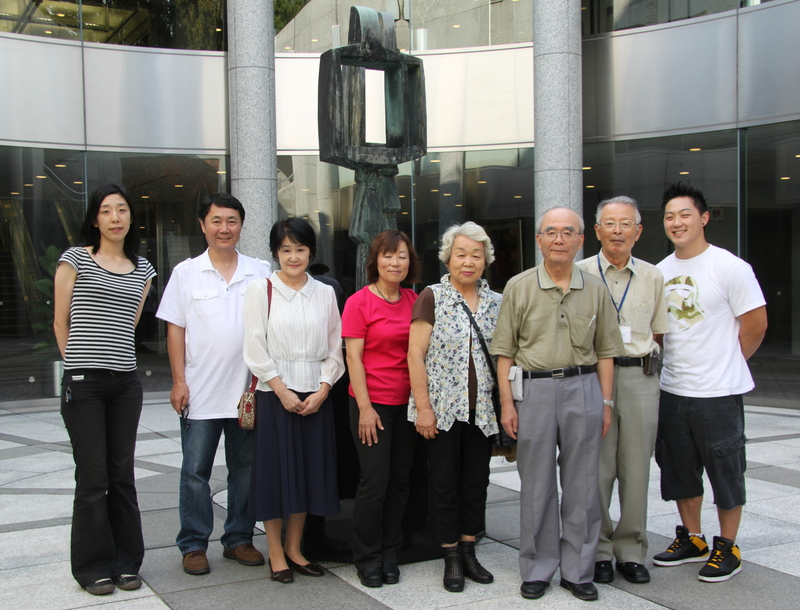 But on September 6, 2012, we were able to meet in person Mr. Tsukamoto, Ms. Kanetou, Ms. Tanaka and Mr. Aramaki. From left: Ms. Tanaka of the Hiroshima Chugoku Shimbun newspaper, myself, Ms. Kanetou who tracked down my dad’s 1937 yearbook, my cousins Izumi and Masako, Mr. Tsukamoto who first answered my blind email and set things into motion, Mr. Aramaki our guide and my son Takeshi. 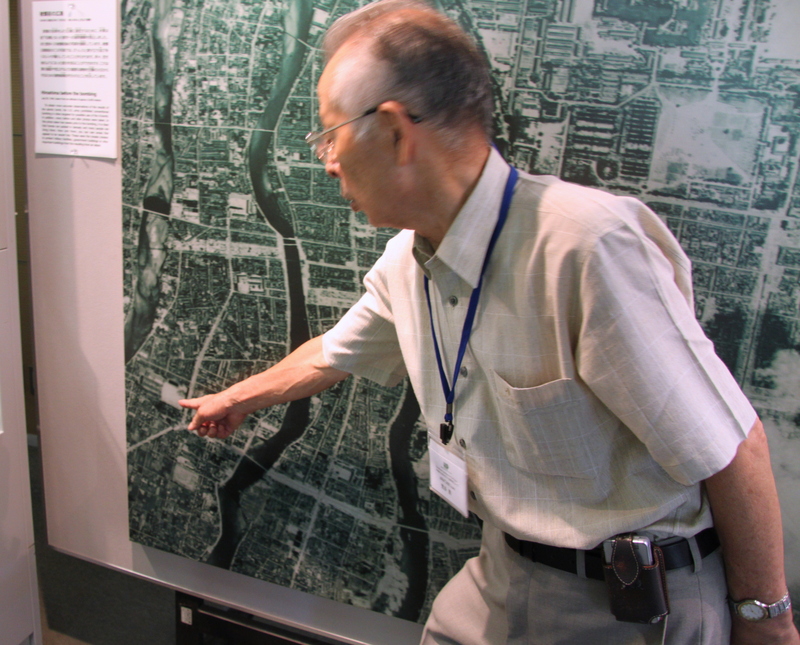 Messrs. Tsukamoto and Aramaki are survivors of the atomic bombing. Any guided tour is exceptional. A personally guided tour of a peace memorial and museum of a man-made event of unparalleled violence cannot be surpassed. Both gentlemen were severely burned as young children. With all doctors killed in the city, they had to resort to mashed yam salve to soothe their wounds. 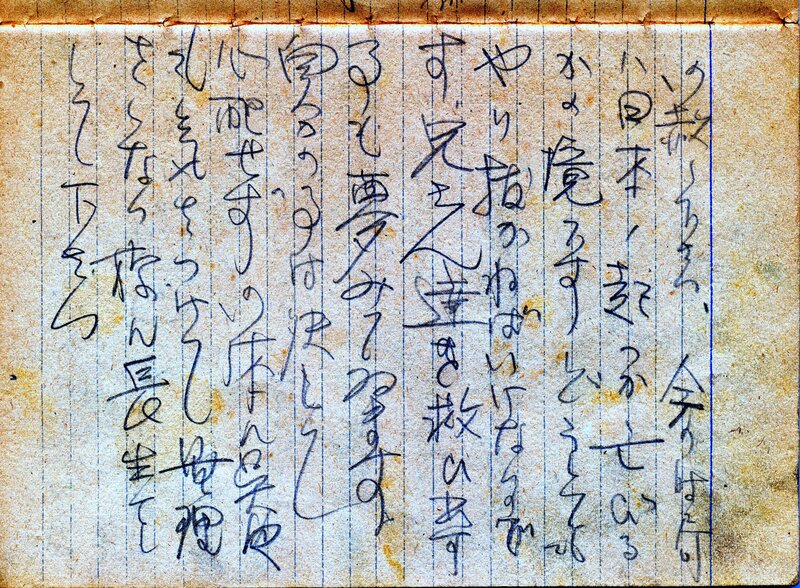 (To see a VERY well written piece on their atomic experiences translated into English, please feel free to read it here.) Imagine doing that yourself as a youngster. 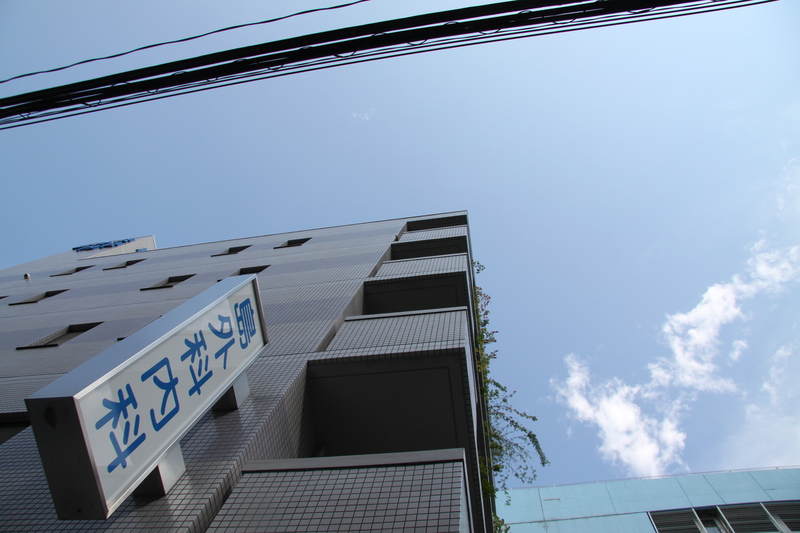 They first pointed out where my father’s beloved high school, Nichuu, was situated in relation to the hypocenter. It is one thing to see it on your monitor. It is another thing to see it on a large wall map. Overwhelming. I knew it was close but it was not much further than one of my father’s triple jumps in Track and Field. It ceased to exist – as did over 320 of their young classmates. Mr. Aratani points to the now vacant square lot that was once his school – and my father’s. 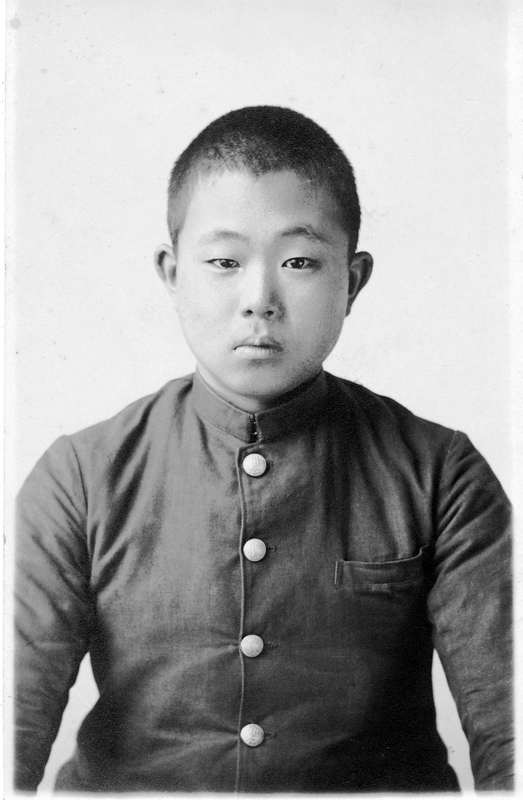 By destiny, both men – young children at that time being forced into laboring for Japan’s war effort – were saved by the decision of their instructor, Mr. Sekimoto. Mr. Sekimoto decided it would be best for small group of them (which included another one of my relatives) to clear a large parade ground to the southeast (東練兵場) for the next crop of sweet potatoes. 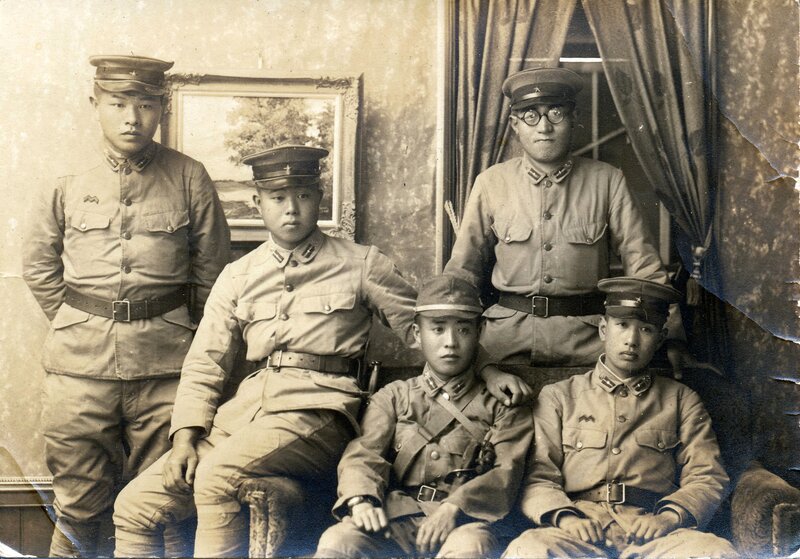 The other classmates were sent to work on building a firebreak near Nichu – which sealed their fate. They were erased from the face of this earth in a second. 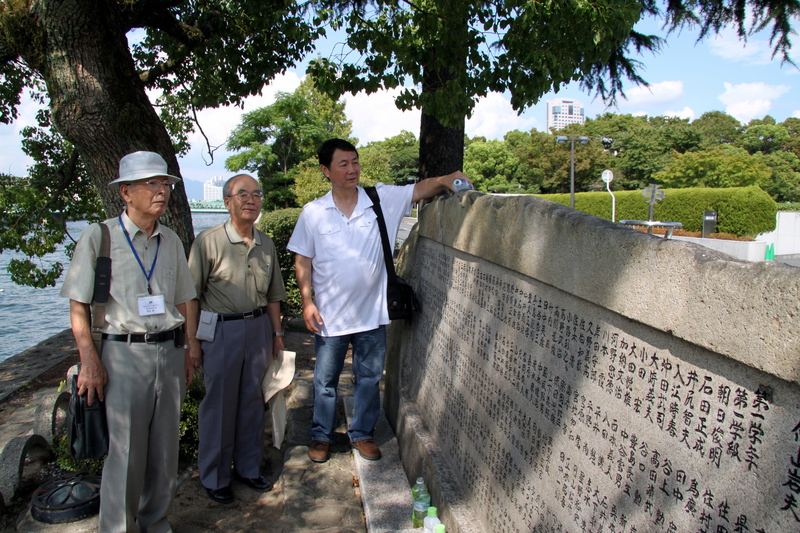 Mr. Aratani and Mr. Tsukamoto point out the Eastern Parade Ground to my cousin Masako where they were to pull weeds that fateful morning. I subsequently learned another relative of mine, Hitoshi Kubo, was also with them. His burns were more severe. 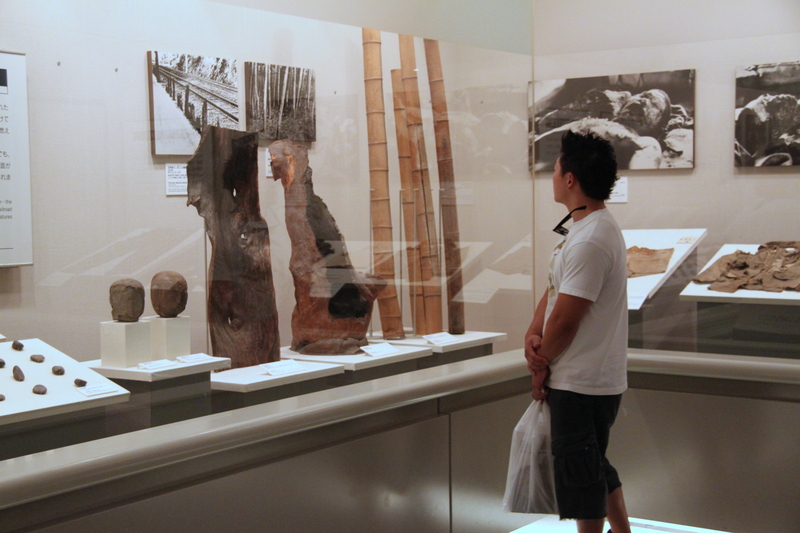 My son Takeshi, I believe, was very focused on the many displays. I believe the message of the Peace Museum was completely absorbed into his psyche. Messrs. Tsukamoto and Aratani guided us to the Nichuu High School Memorial, emblazoned with the 321 fellow students who perished. As did Mr. Tsukamoto on August 6th, 2012, I offered water; my son Takeshi also without any urging whatsoever left his precious water bottle on that hot and humid day which is a glorious gesture. There is a reason for the water as will be explained shortly. Mr. Aratani, Mr. Tsukamoto and myself offer water to the Memorial and a prayer for their young Nichuu classmates and souls. 321 of them. My son leaves his water bottle for the young souls. We journeyed towards the cenotaph. On the way through a park, Mr. Tsukamoto began to cry. I asked him what was wrong. He replied, “Your father is very fortunate to have family that think of his well-being. My soul is now filled with joy.” We hugged each other under the shade of a tree and cried together. As it turns out, his father died at a young age; he was never able to thank his father for raising him through a most horrible period. We arrived at the cenotaph; the inscription was designed and written by Mr. Tsubokawa’s and Aratani’s good friend, Prof. Saika Tadayoshi. 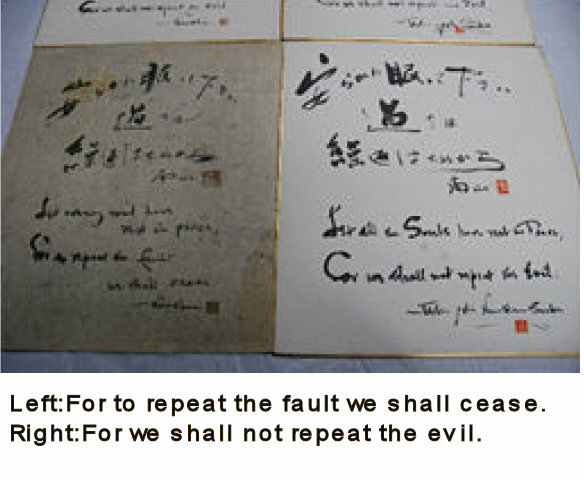 In English, it says, “For to repeat the fault we shall cease for we shall not repeat the evil.” It was purposely written with no subject. It is for the reader to decide. 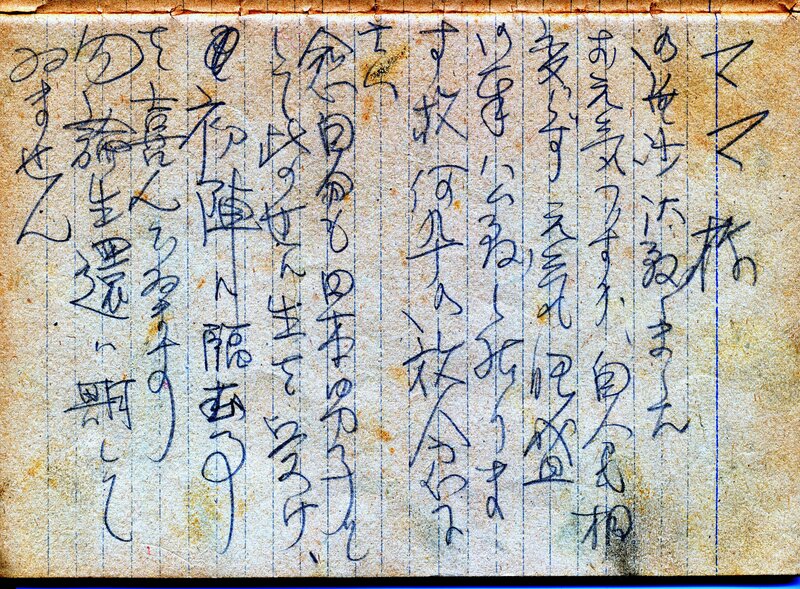 Mr. Tsukamoto subsequently sent this image of the actual manuscript of Prof. Tadayoshi written in calligraphy (brush and carbon ink). The Atomic Dome can be seen perfectly centered through the arch. He explained the “eternal flame” is not truly meant to be eternal. It is to be extinguished when all nuclear weapons are abolished. Just beyond the cenotaph can be seen a pool of refreshing water. The water symbolizes all the cries for water from the victims who survived the atomic blast. Nearly all would perish. Remember the water we poured on Nichu’s Memorial Stone? We then walked to the actual hypocenter. The atomic bomb exploded about 1,900 feet directly above. The atomic bomb exploded directly above this spot. 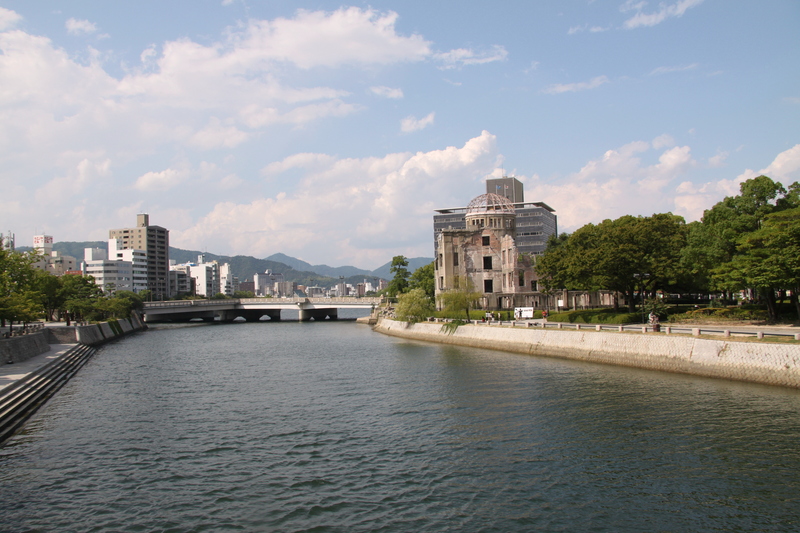 There are several rivers flowing through Hiroshima. We all know through books that the rivers were engorged with corpses and debris. However, there are no photos in existence as it was when the city was destroyed. There was no film let alone medical care. However, before the US scientists came to measure radiation levels about two months later, a huge typhoon hit the devastated city. While the rain tore through the rivers carrying the corpses out to sea, the rain also largely washed away radiation levels. Therefore, when the US scientists did measure the radiation levels, it was tremendously lower than what it truly was. You won’t find that written in any of our school history books. This river was engorged with victims and were washed out to sea by a huge typhoon. There are no photos of this horrible scene as witnessed by our two survivors. 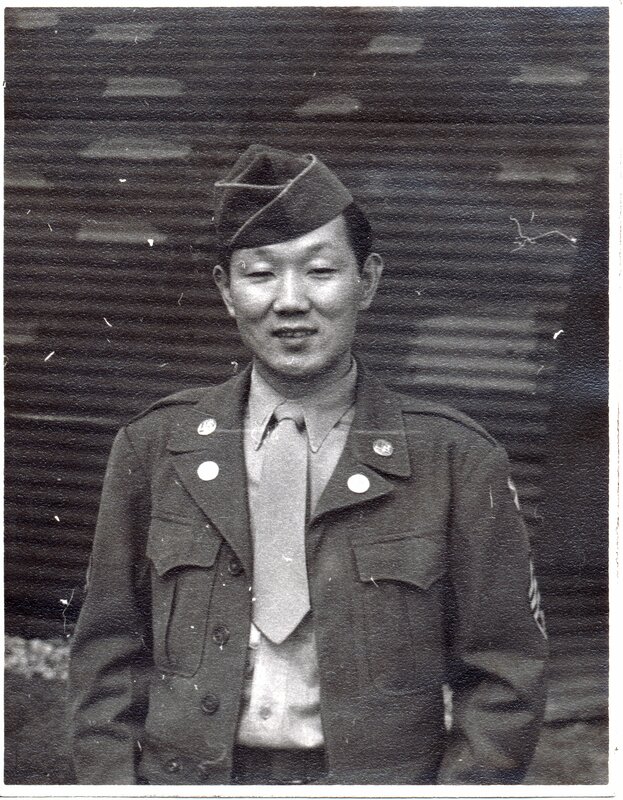 Lastly, in a photo discovery made just a few hours before meeting them, I came across a photo of dad taken in 1937 soon after he arrived back in Seattle after spending ten years in Hiroshima and graduating from Nichu. He’s sporting his Nichu varsity sweater. 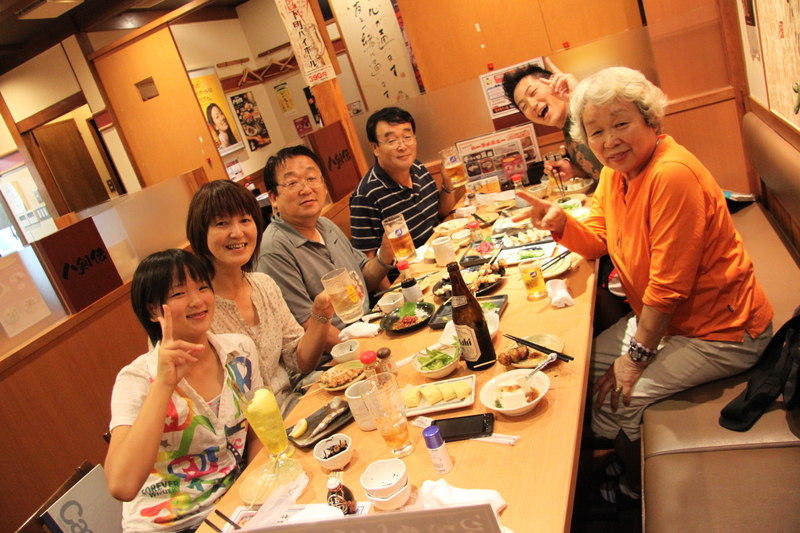 The attendees were overjoyed to see Dad’s pride in Nichu – even across the ocean. 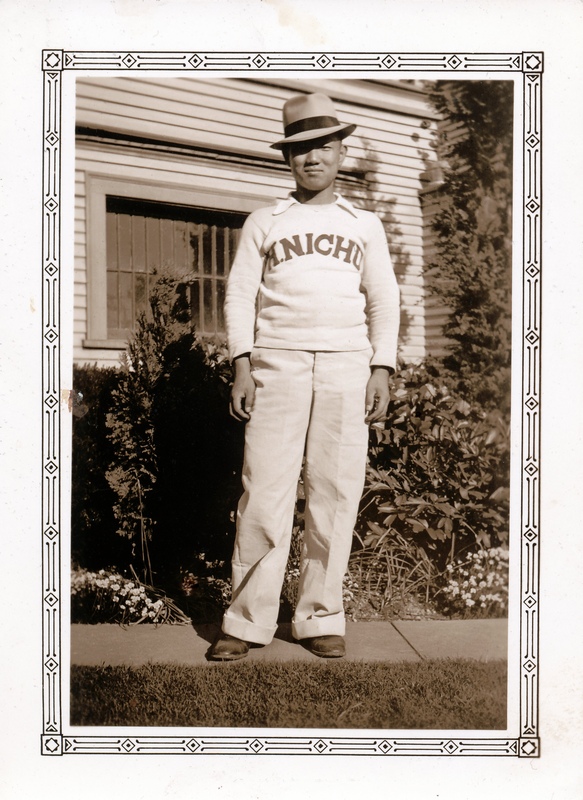 Dad in his pride and joy Nichu varsity sweater taken in Seattle, 1937. You can also see his bent right elbow. That is another discovery story. The men were burned severely as children working in a field for their country’s victory. While their country lost, it was but a moment in their lifetime. They still attained victory for the world. More to come on one family, two countries and World War II. Life can be fulfilling, emotional, filled with awe…and eerie. All at once. In ten short days. In a country far away. But life and its generations help you live it backwards and forward. 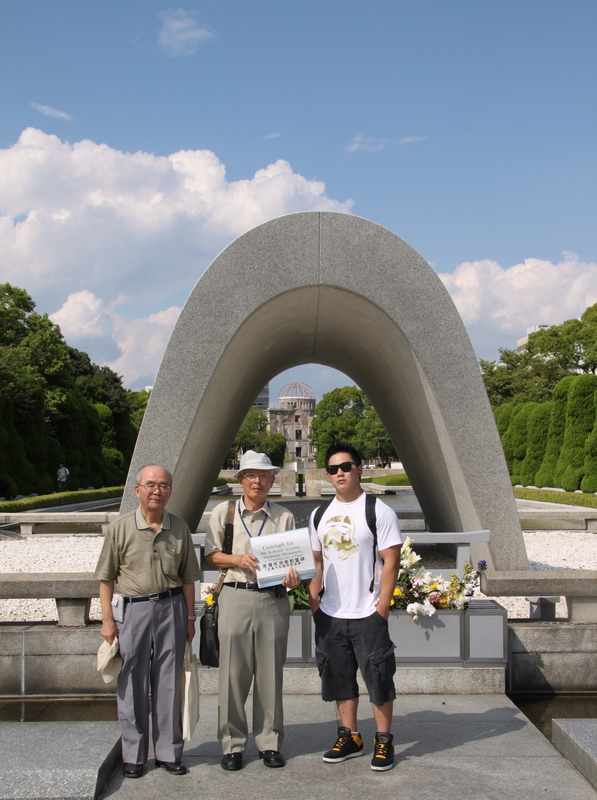 Ten great days were spent in Tokyo and Hiroshima with my oldest son, Takeshi. He is 24 years old. We had never been on vacation together. My loss. I admit to being worried he was not going to enjoy himself. There is so much to write about for family and friends but jet lag affects more than sleep. There is a cavernous disconnect between my (normally minimally functioning) brain and my fingers. I hope you’ll stay tuned until this old mind functions again. Not that it ever did. Thought it best to say that before someone did.